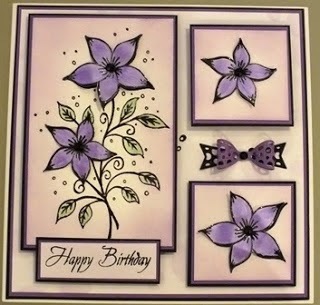 Good morning crafters, well I've used Lisa's stamps - the Clematis Elements set - for the first time and love them. Such a nice crisp image and also easy to stamp and cut out. This is a different take on a stepper, I've layered the steps instead of folding the card. I took a 7" x 7" card and matted and layered it with black and mauve, then took a piece of white and used the Imagination Craft Bubble stencil and randomly distressed it with Dusty Concord. I do think I should have added more colour to the background, but it does look better in the flesh. Then, once stamped and dressed, matted them up with the mauve then black card. 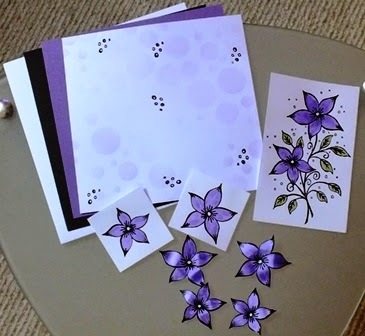 So I stamped the Clematis Elements using Versafine Black Onyx and embossed with Wow Clear Power, as seen above and stamped a further four single elements to create the decoupage effect. I used my old favourite the Imagination Craft Silkies in Lavender Lace for the flowers and Apple Lace for the leaves, I love the sheen you get from the Silkies. 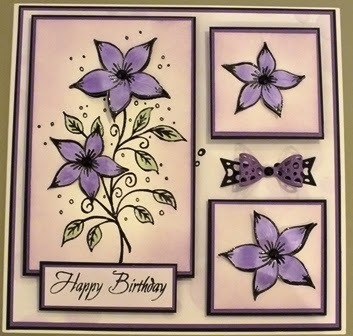 I stamped the Happy Birthday, sentiment using the Woodware Clear Stamp (This stamp isn't on the website at the moment so any sentiment could be used) and then added a little Sue Wilson Bubble Bow to match the Bubble theme and finally added a black gem to the centre of each flower. 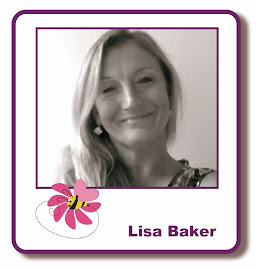 I hope you approve and have fun with Lisa's stamps. See you soon. 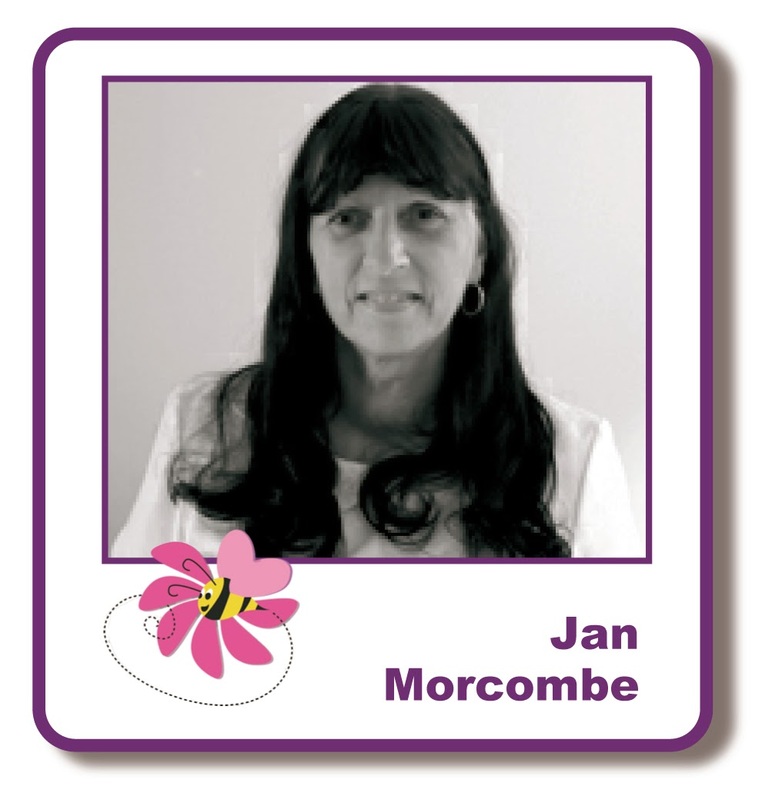 Jan, this is such a beautiful card & the little bow is perfect.